If you are a fan of the 2016 anime juggernaut Kimi no Na wa (Your Name) you are in luck: an art book has been announced. 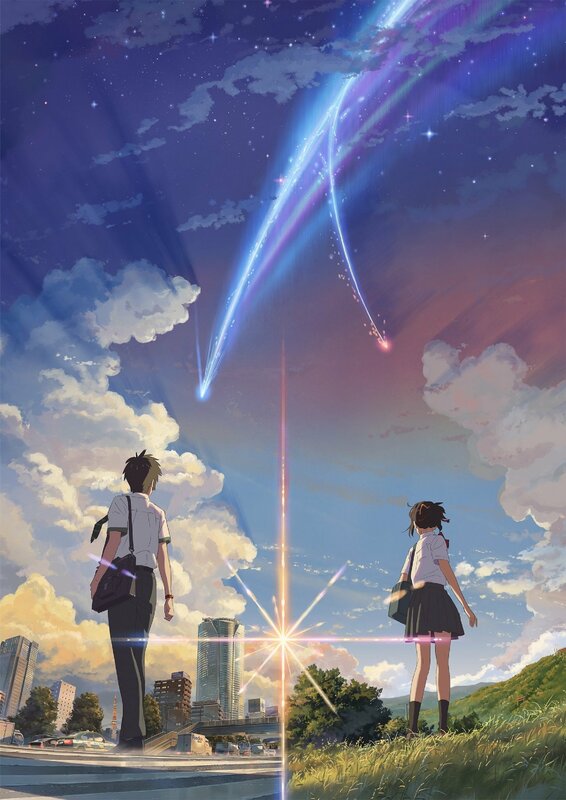 Last year Your Name took Japan and the rest of the world by storm, earning 25 Billion yen globally at the box office. The movie was so successful that it even ousted Hiyao Miyazaki’s Academy Award winning Spirited Away as the top earning anime film of all time. Directed by Makoto Shinkai, Your Name has become a must see for all anime enthusiast. Part of the charm of Your Name are its visually stunning settings showing the bustling cityscape of Tokyo, and the rural beauty of Itomori, in amazing detail. Luckily for us, this visual experience does not have to end when we turn off the screen. On August 2, 2017 sales began on the 208-page art book. The book contains over 200 full colour pieces, including the background art and major scenes from the movie. Makoto Shinkai and the art staff have also contributed their commentary to the book, giving insight into the movies visual direction. Your Name is now available on both DVD and Blu-ray. For more information on the different collectors editions, click here. Image Sources: Toho Co., Ltd. / Anime! Anime!